Letter photo art is really popular and a great way to give a personalized gift. With the help of this great letter image collection on Flickr it is really simple to make one of your own. Whitney created these great letter photo art pieces as Christmas gifts for her kids teachers. She used the images from Flickr and has a tutorial on how to make the frame display. 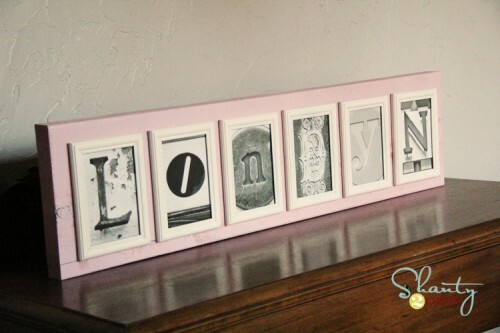 You can check out how to create this DIY Letter Photo Art over at Shanty 2 Chic. PS - I checked quite a few of the images from the letter image collection on Flickr and each of the images I checked allowed reproduction for personal use. I couldn't check all of them though, so make sure you read the copyright message on the images you would like to use.